Callisto 1904 is all about Baseline Compliance. This is a feature that’s been requested more than any other by our customers and we’re really pleased to finally have a shipping version of Callisto that provides this functionality. There are two main areas for baseline compliance. 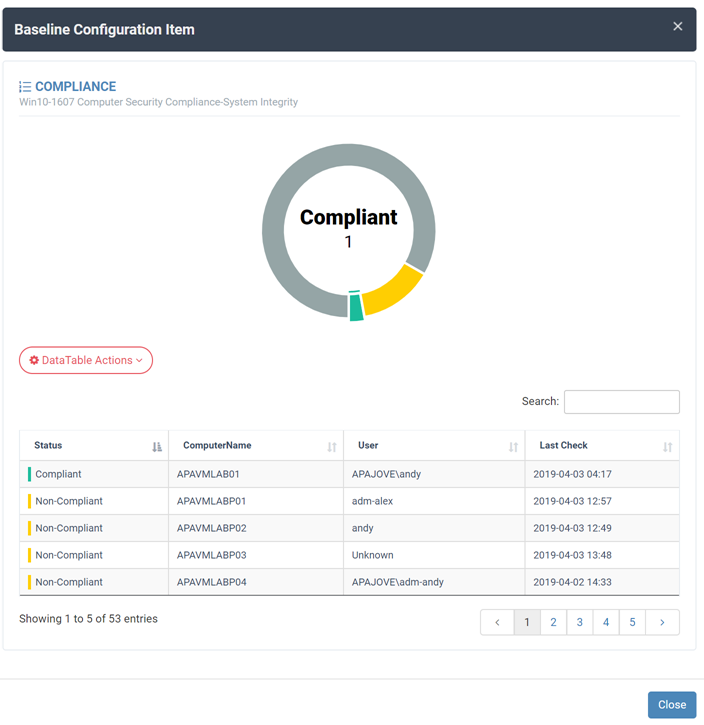 In the main interface Configuration Manager – Security and Compliance – Baseline Compliance will take you to a familiar view listing all baselines filtered by default against All Systems and the device modal. There are three modal tabs. 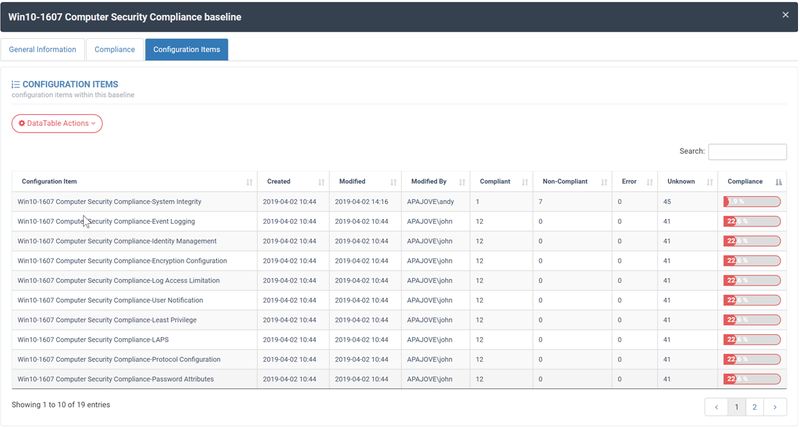 The general information tab shows meta data from the baseline as created in the console. 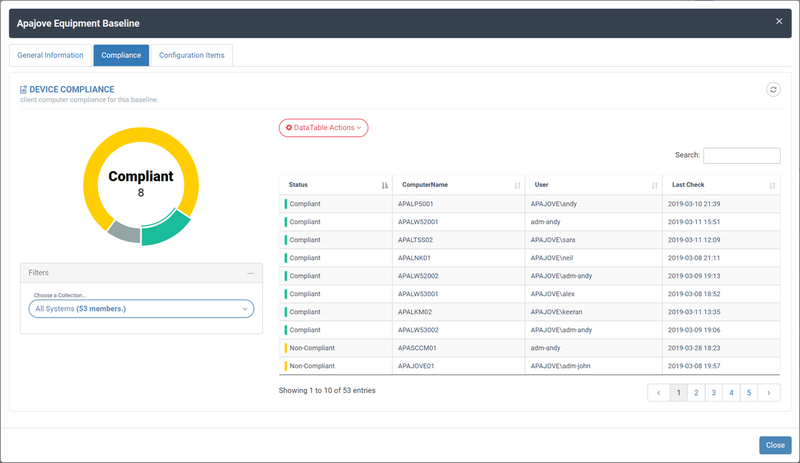 Clicking a deployment will show the contents of the targeted collection. And of course, clicking any of these shows specific machine compliance too. 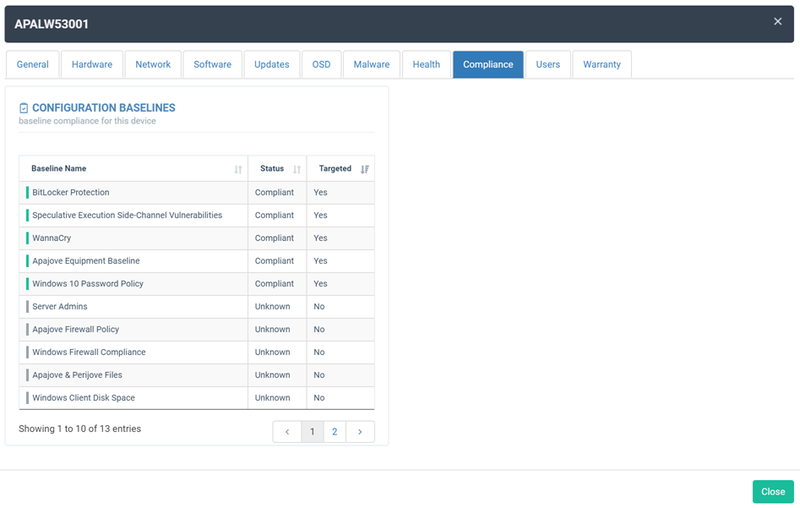 These are also clickable to show the individual CI compliance state. The Office 365 and Windows 10 servicing pages have been updated to support some back-end changes Microsoft made. The Resources – Devices pages, when clicking through the portables, desktops, etc. dashstats now display additional data including manufacturer and model, this was a customer request.